The Betting Control and Licensing Board in Kenya was established by an Act of Parliament in 1966. Prior to this Act, the functions of the board were handled by the Police Department of Kenya. However, the policy framework and the mandate for the regulation of national gambling was fundamentally altered by the New Kenyan Constitution of 2010. The Act provides for the control and licensing of betting and gaming premises and activities; authorization of lotteries, prize competition and eradication of illegal gambling. The licensing board has nine members who play a big role in changing the notion that gaming is a vice. It is important to note as well that the betting control and licensing board is a division in the state department of Co-ordination in the Ministry of Interior and Co-ordination of National Government. Gambling is defined under Wikipedia as the wagering of money or something of value (referred to as “the stakes”) on an event with an uncertain outcome with the primary intent of winning money or material goods. Gambling thus requires three elements be present: consideration, chance and prize. The outcome of the wager is often immediate, such as a single roll of dice, a spin of a roulette wheel, or a horse crossing the finish line, but longer time frames are also common, allowing wagers on the outcome of a future sports contest or even an entire sports season. Once upon a time in Kenya, gambling was perceived to be a preserve of the of the rich with high risk appetites, able and willing to wager big money. casinos were opulent buildings in posh addresses. Not anymore. The advent of sports betting as well as other forms of gambling such as slot machines targeting the low-income earners has the changed the entire landscape of gambling in the country. Back in 1965, the Kenya Charity Sweepstake ushered in the earliest era of betting in Kenya and with a widespread agency presence and thus dominated the gambling scene in the country for with offers as high as a KShS2.5 million Jackpot. And while this agency catered to the low-income groups as well, individuals with substantial disposable income had the option of riding their luck at high-end casinos located mostly in high-end hotels or were involved in betting at the renown Ngong Race Course. 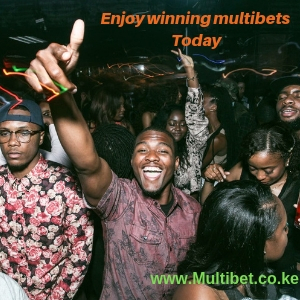 Sportpesa, Betway, Betin, Elitebet, Betyetu, Justbet, Easybet, Lucky to You and Kenya Sports Bet are a few of the new players over the last decade who staked a claim to the piece of the pie through cheap betting prices, massive advertising campaigns and mind-boggling financial rewards e.g. the Sportpesa Mega Jackpot rewarded a lucky winner with Kshs 230,742,881 in early February 2018. While gambling and betting is on an upward trajectory in Kenya, this particular form of recreation in which risk are taken and stakes placed is one of the earliest forms of entertainment in human history. According a New York Times article on the “Largest Gambling Cities in the World,” published in 2014, there is substantial evidence of gambling having taken place in China in and around 2300 BC following the invention of paper whose ripple effect was the creation of paper money and playing cards. The Chinese city of Macau became the largest gambling center after it overtook Las Vegas in 2006. Macau raked in $45 billion (Sh45 trillion) in revenue back in 2014 which is slightly more than 20 times Kenya’s annual budget. We can therefore conclusively state that gambling in Kenya has been on an upward trajectory ever since the country’s independence in 1963. 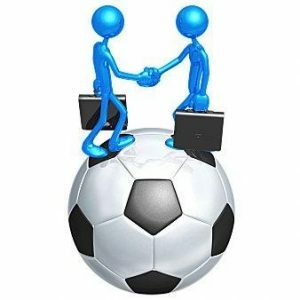 Changes advancements in technology have greatly aided in establishing huge sports betting firms such as Sportpesa in the Kenyan market. There have been reviews of regulations but going on the gambling history in Kenya, its safe to say that the big players are here to stay, if the billions they rake in is anything to go by.